A home’s exterior is made beautiful by the style and color it’s siding, brick, stone, and trim. A home’s interior is made comfortable well insulted walls and windows. 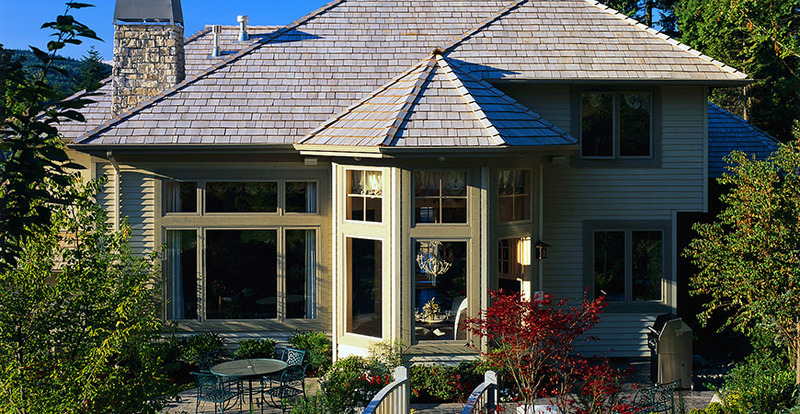 Durable siding, energy efficient windows, and an elegant exterior are all essential elements of a good home design. It’s when these details come together that the experience of owning a home goes from convenient to enjoyable for your family. At Scottish Home Improvements, we believe that owning a beautiful home should be a dream that every family can achieve. That’s why for the past twenty years, we’ve been providing high quality, low cost home improvement solutions to homeowners all across the state of Colorado. Whether this is the first time your home’s siding is being replaced or you are working on a historic home, our company has the experience and materials to make your project a success. 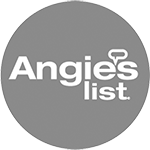 With an A+ Ranking from the BBB and 12 Consecutive Gold Stars (representing no consumer complains) we are the right company to replace your siding whether you are looking for fiber cement siding, vinyl siding, steel siding, stucco, or even wood. Contact us today to learn more or schedule a consultation. 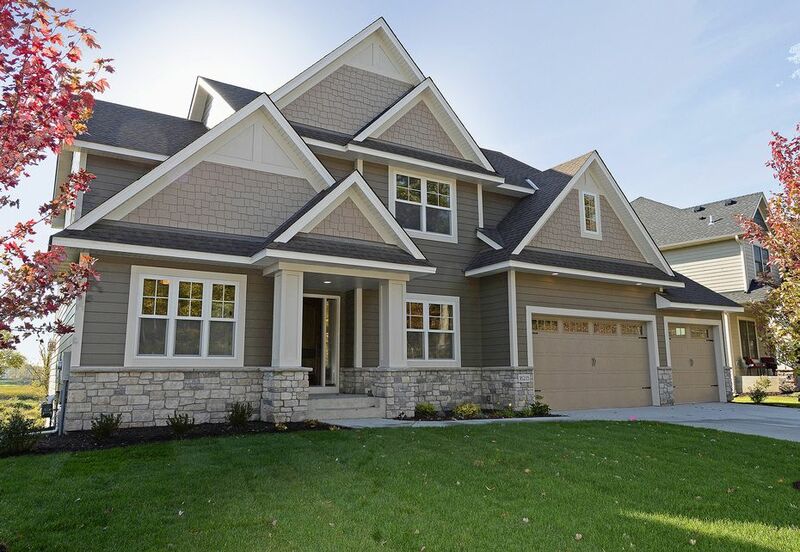 Scottish Home Improvements is proud to feature James Hardie® Fiber Cement Siding as our primary siding product. This beautiful, durable, and environmentally responsible product ensures your home’s exterior will look beautiful and be effectively protected from the Colorado’s extreme temperatures, snow, rain, rot, woodpeckers, and pests. We also have decades of experience install Vinyl Siding, Steel Siding, Wood and Cedar Siding, as well as Stucco Panels. Whatever siding you’re looking to replace, contact us today to see if we might be a good fit for your project! 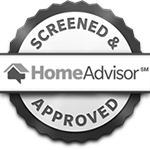 Scottish Home Improvements is the premier James Hardie® Preferred Remodeler in Colorado (based upon independent surveys). 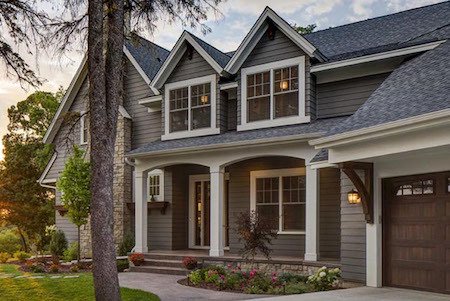 When these high quality siding products are paired with Scottish Home Improvements and the 20 years of trust we have built across Colorado, you are working with a team you can trust. 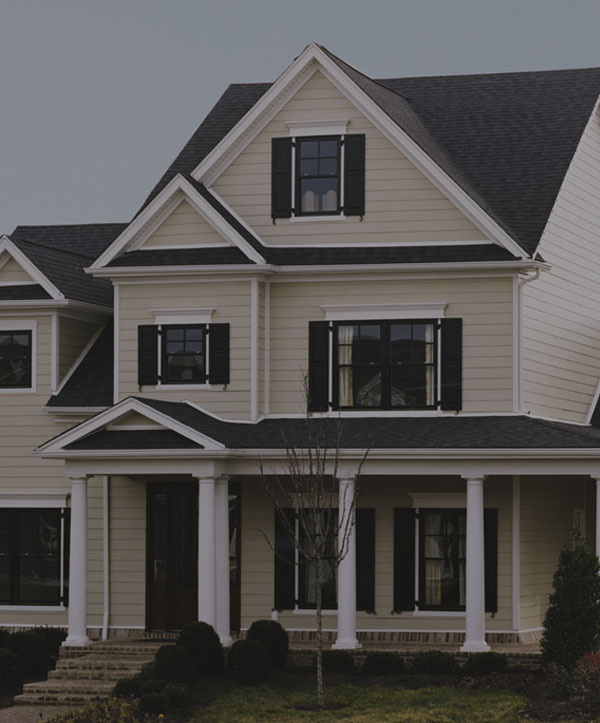 Our project managers separate us from most other siding companies by allowing us to quickly address any concerns you may have and ensuring that our siding projects stay on time and on budget. Many of Colorado’s homes are clad with traditional wood siding. This might be the standard horizontal plank style or the rustic cedar shake style. But today, there are many other siding choices available to homeowners who are concerned with energy efficiency or durability such as fiber cement, stone, steel, and many other options. Although wood siding can last a good thirty years if well maintained, the fact is that this natural material does require a lot of maintenance over the years. It also requires the chopping down of forests, which is a concern for many Coloradoans. Other types of siding can offer benefits that wood cannot. Residing your home is a huge investment. So when it comes to selecting your new siding, you deserve to have an abundance of options to choose from. Our extensive network of vendors and siding manufacturers allows our clients to gain access to a diverse array of modern siding choices. We partner with industry leading brands to provide you with the best vinyl, wood/cedar, stucco, and fiber cement siding existing on today’s market. Vinyl siding: Clean, modern, and versatile, vinyl siding is one of the most aesthetically pleasing and economical options for siding replacement. 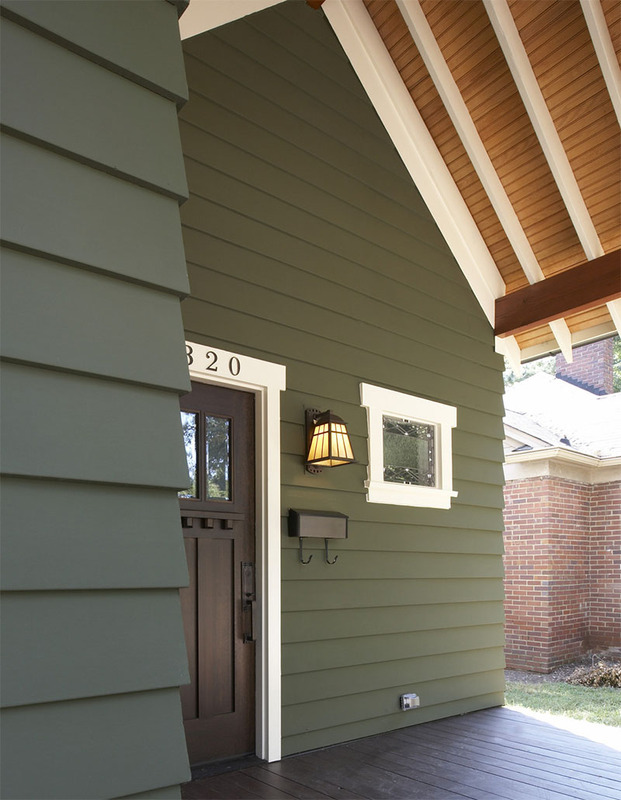 Vinyl siding comes in a diverse array of colors and styles and has a grooved texture that resembles natural wood. Vinyl siding is an excellent choice for rental homes or properties priced under $250,000. Wood/cedar siding: Rich in color and texture, wood siding is a very popular choice for vintage Victorian homes, cabins, and modern farmhouse style homes. When properly maintained, cedar siding can last up to 60 years and is a very durable and aesthetically pleasing option for higher end homes. Fiber cement siding: Fiber cement siding is fire, rot, and pest resistant and is one of the most durable options, making it a smart investment for homes of all types. 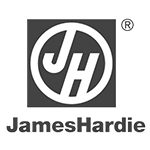 We partner with James Hardie to provide the best quality fiber cement available to our clients. Fiber cement residing projects typically involve homes priced above $250,000. Other siding options: In addition to the options described above, Scottish Home Improvements also carries many other modern siding options including stucco siding, steel siding, and stone siding. To learn more about these options, please contact our office. Here at Scottish Home Improvements, we take pride in our work. We believe that our commitment to our customers goes far beyond the service we provide. It’s also about the quality of the products we use too. That’s why we choose to use James Hardie fiber cement for the majority of our siding installs. 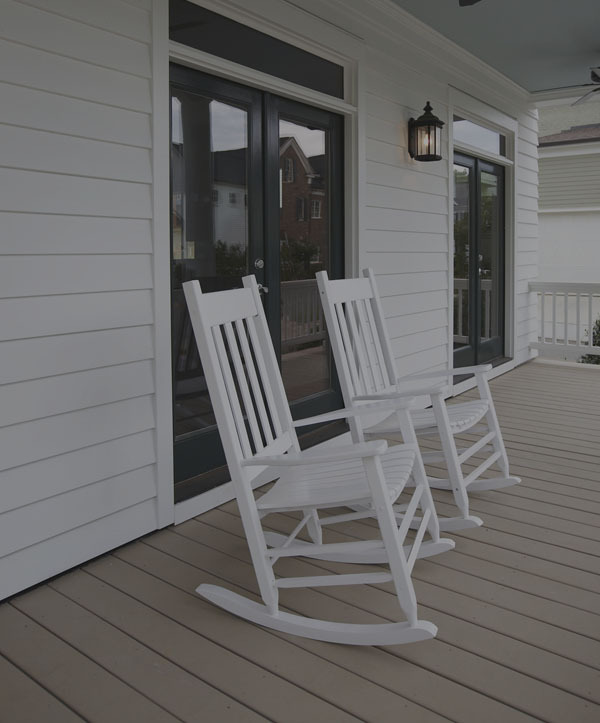 James Hardie has a longstanding reputation of being one of the best siding manufacturers in the country. They’ve invested a vast amount of time and research into the development of their siding and ColorPlus technology to ensure their products perform well and last. In addition, all James Hardie siding comes with a limited 30 year warranty. Scottish Home Improvements is proud to have many satisfied and returning clients in Denver as well as many other cities in Colorado. Over the past 15 years of being in business, we’ve received a generous amount of recognition and praise from our clients for which we are both grateful and honored. We always place our customers first and we believe this shows through in our work. That’s why so many people feel comfortable referring us and providing us with their testimonials. If you’re interested in learning more about our past projects or would like to hear some of our home improvement success stories, please visit our testimonials page for details. 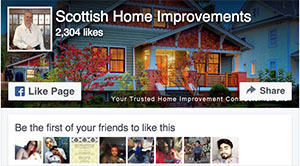 At Scottish Home Improvements, we understand that every home and every family is different. When it comes to siding, there is no one size fits all approach. By customizing our clients’ siding through our unique design process, we are able to find a solution that caters to their particular needs, concerns, and preferences. Many of our competitors will ask their clients to make their decisions based off of looking at panels or samples, but the problem with this is that it’s hard to imagine what your home will really look like based on these examples alone. That’s why we work hard to make sure you will know exactly what your home will look like before you make your investment. We have exterior design consultants that work directly with our project managers on all of our siding replacement projects. 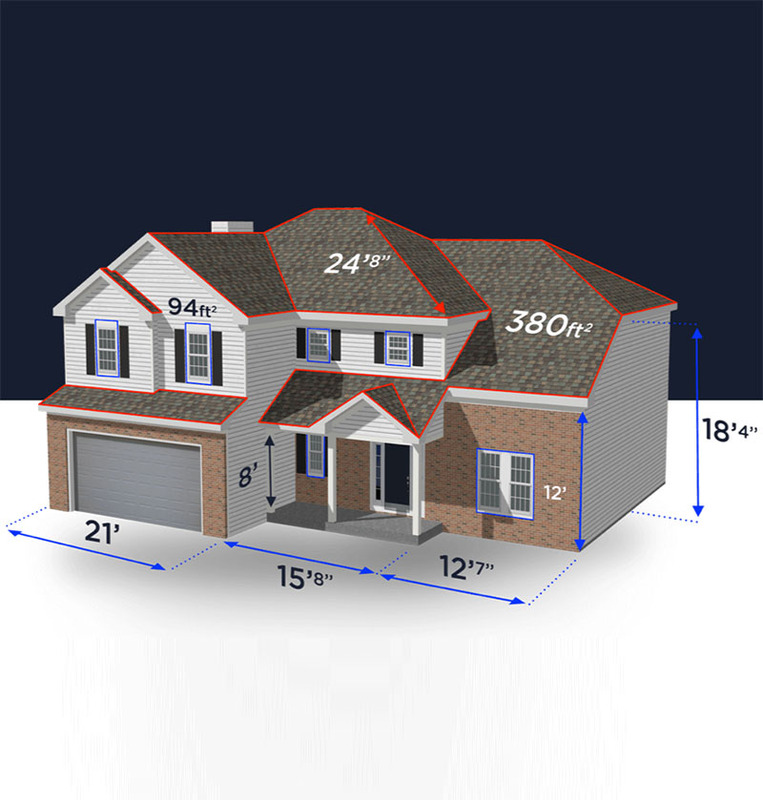 In addition, we use a digital aided process that allows us to produce lifelike renderings of what your home will look like once the new siding is installed. These renderings are shared with you in our showroom and can be edited live during your consultation. By adjusting certain details, we can make sure you get a look you love. Sometimes adding a shingle accent to your roof or placing a decorative band above your front porch can make all the difference in the aesthetics of your home’s exterior. 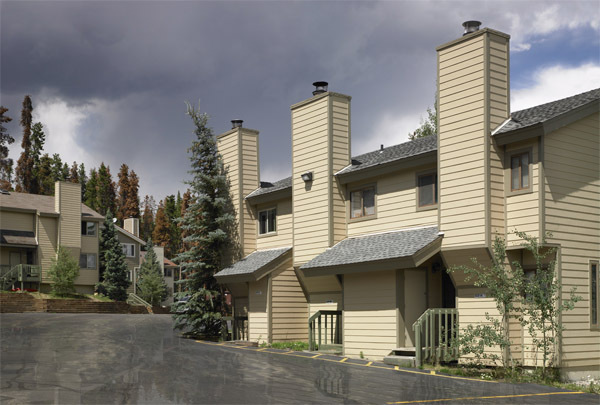 Not only is Scottish Home Improvements the largest siding contractor in Colorado, we’re also the most experienced when it comes to multi family homes. 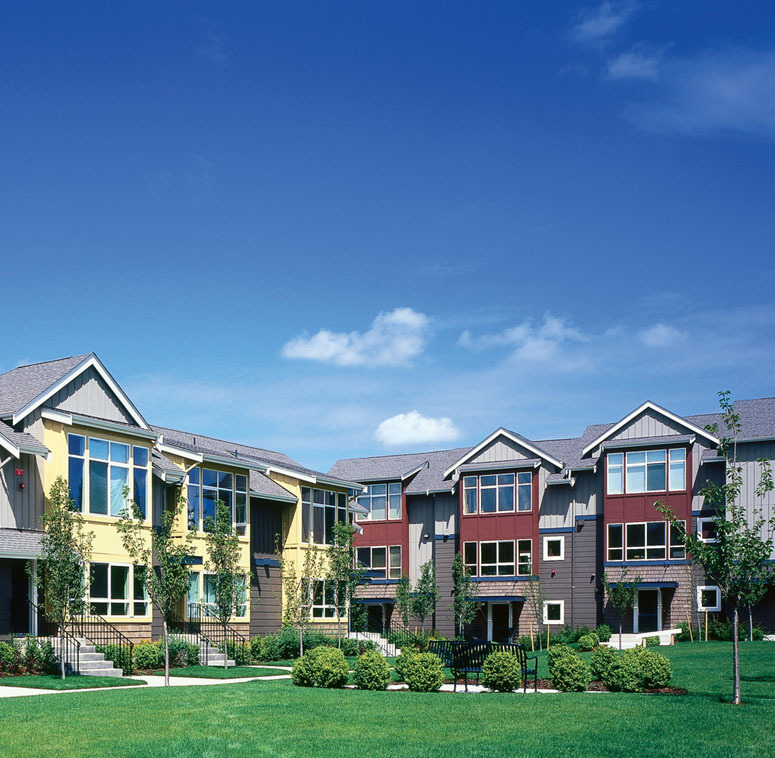 We’ve installed new siding on multiple apartment buildings, townhomes, and condos all across the state and are the highest rated James Hardie contractor in the nation. When it comes to multi siding projects, there is no job too big or small for us to handle. 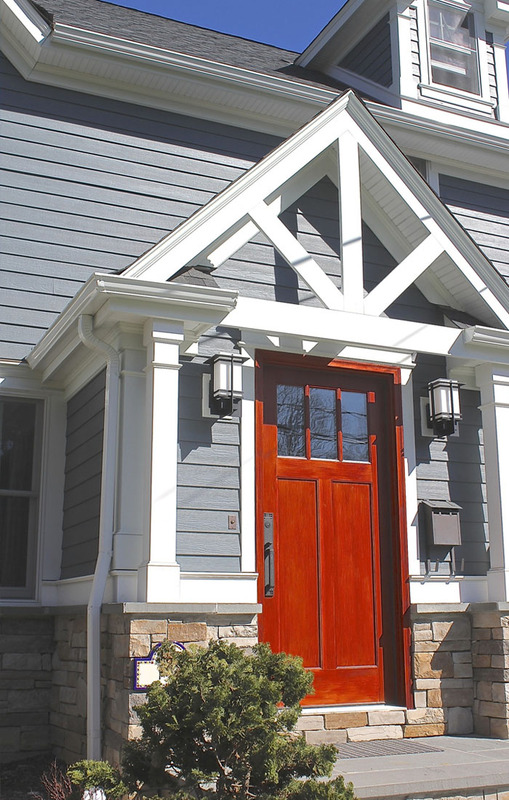 We’re confident that we can find the right type of siding based off the unique needs of your community that will also beautifully complement the architectural features of your buildings. Residing your siding can be one of the best investments you make in your community. Not only can new siding improve the aesthetic appeal of your community, but it can also save money and provide safety and comfort to your residents. Here at Scottish Home Improvements, we carry many different types of siding that are perfect for multi family homes and are weather, rot, moisture, and fire resistant. When you partner with us, you’ll be able to choose from many beautiful and durable siding options such as vinyl, wood, fiber cement, and stucco, as well as James Hardie’s full product line. These aspects and more are what makes Scottish Home Improvements Denver’s trusted source for multi family home siding remodels. Never have I felt the need or had any reason to write a letter of commendation to any company for services rendered. However, given my most recent experience with Scottish Home Improvement, I felt it was time. Throughout the process of choosing a contractor, Scottish stood out with their knowledge, professionalism and desire to do the right thing. Once I chose Scottish, I was impressed with those same qualities throughout their organization. Their customer driven philosophy is evident from the laborers to the owner. I would recommend Scottish Home Improvement for anyone looking for a quality job, reasonably priced and customer oriented. We would welcome any inquiries. Thank you! I saw one of their lawn signs in my neighborhood and was so impressed with their workmanship that I wrote down the information. Their staff always made us feel welcome and were patient throughout the process. I have already passed their contact information on to a friend. Really Happy with the Scottish Home Improvements service and the James Hardie Siding! Add us to the satisfied list. If asked who can do a good siding job etc. in the future, we will recommend SHI. Thanks, the completion of the siding is a huge relief off our shoulders! Jim took the time to discuss all kinds of options for my old, peculiar house. He was on site at least every other day, making sure these changes made their way into the final product. He communicated frequently — usually daily — as various bits of the project proceeded. He worked around my schedule AND unpredictable weather. As a result, the house ended up looking even better than expected (with some “craftsman” features added) — and more structurally more sound as well. In a vast sea of questionable construction companies; Scottish is a standout! We have not looked back on our decision to go with them on our siding project for a single second! My recommendation to anyone needing their siding replaced is to not hesitate and go with Scottish. In doing so your worries will be over! Great experience with Rigo to the project manager and the entire crew. Loved the work they did and the positive manner in which they responded to my requests. So very happy to have the project completed! 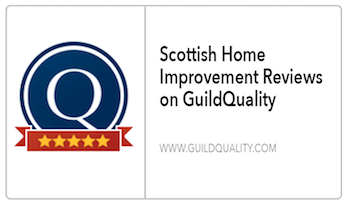 Scottish Home Improvements were timely and efficient and did an amazing job! Rigo managed to coordinate late request for brickwork and was able to integrate that in with the rest of the job. Very pleased. I am very particular about air sealing to prevent heat gain and loss. Rigo and Ervin listened and did all that I asked, as did their team of awesome, awesome workers. Needless to say, we used more foam and caulk than most jobs this size and I am sure it will make a difference this winter. I generally dislike working with anyone in the construction industry. To write a review of this type is not normal for me.When I embarked on my siding project, I worked primarily with 4 different vendors. As for price, some came in ridiculously low. With some coaching on what to look for, I could see why. Others came in crazy high and were offended to learn that I was looking at other vendors. Isn’t that what we’re supposed to be doing? So the price with Scottish came in right at the middle. That said, I believe the value per price was a steal. Nobody is doing the quality work in my neighborhood like Scottish is. Our area was hit by very hard hail last year so there’s plenty of construction going on to compare.The sales cycle is nice and professional and low pressure. The Project manager is a stand up fella who does an amazing job. The one I worked with was fluent in English and Spanish and college degree educated.The crews themselves have been with Scottish for a long time and their craftsmanship and skill-set is easy to see. I enjoyed the sales experience. Joy does have that “soft approach”. The design crew did a nice job.Rego will bend over backwards for his customers. Rego was all over it.To be blunt and reveal my own lack of education, it’s wonderful to work with a PM who is fluent in both English and Spanish. Again, Rego would do anything to make sure his clients are happy. Give him a raise. A big one. I want to thank Jim Archer and his entire team for all of the quality service they provided us. My house looks incredible, and we have received so many compliments from our neighbors. Jim Archer and his crew were very polite and their attention to detail is very much appreciated. They were very easy to work with, and extremely helpful. I could not be more satisfied. They did a very good, professional job. The finished product looks great! Joe was helpful, Jim was very good and interested in my satisfaction. rico, was a very knowledgeable, and understanding. All three of them were wanting to satisfy, and very understanding of my needs. 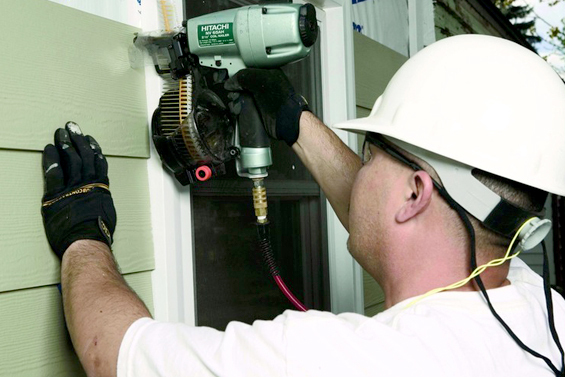 We try to make the siding replacement process as easy and simple as possible for our clients. That’s why our siding consultants also act as our project managers. This means that during the entire duration of your project, your siding consultant will be your personal point of contact for all your needs and concerns. It also means you gain the trust and comfort of knowing that all promises made to you during the sales and consultation stages of your project will kept and won’t get lost in translation. While other general contractors may avoid talking about potential complications or issues during the initial consultation, our project managers will identify these issues directly because they know that they’ll have to be addressed later on during the installation phase. 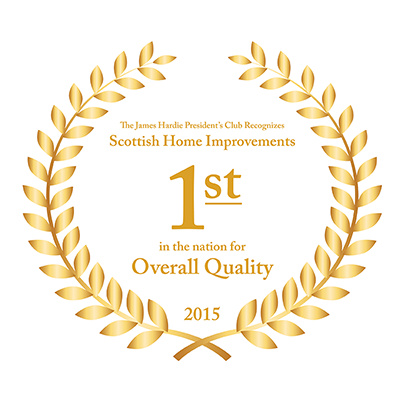 As a Scottish Home Improvements customer, our honesty and transparency is our guarantee to you. Although our main office is based in Centennial, we conduct a good majority of our work in the Denver metro area. The reason for this is mainly due to the large population of aging and historic homes in Denver as well as the need for energy efficiency. Denver’s high altitude causes fading in siding products that aren’t designed to be uv resistant and can also lead to issues of warping and cracking. In addition to this, the nearby mountain range creates unique weather patterns that cause Denver homes to be subjected to severe storms, snow, and long periods of intense heat. 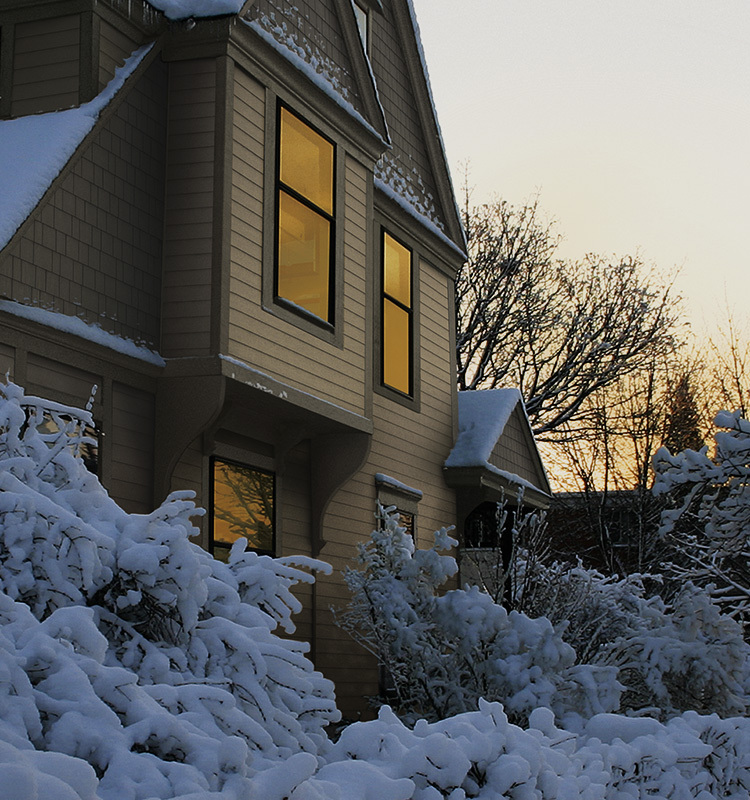 By installing replacement windows, Denver residents can enjoy better comfort and safety in their home as well as lower utility costs during the summer and winter. In addition to serving the Denver metro area, Scottish Home Improvements is also happy to extend our services to Boulder, Colorado Springs, Ft Collins, and the Rocky Mountain region of Colorado. Many of these cities have a similar environment to Denver and therefore are faced with many of the same challenges and issues. 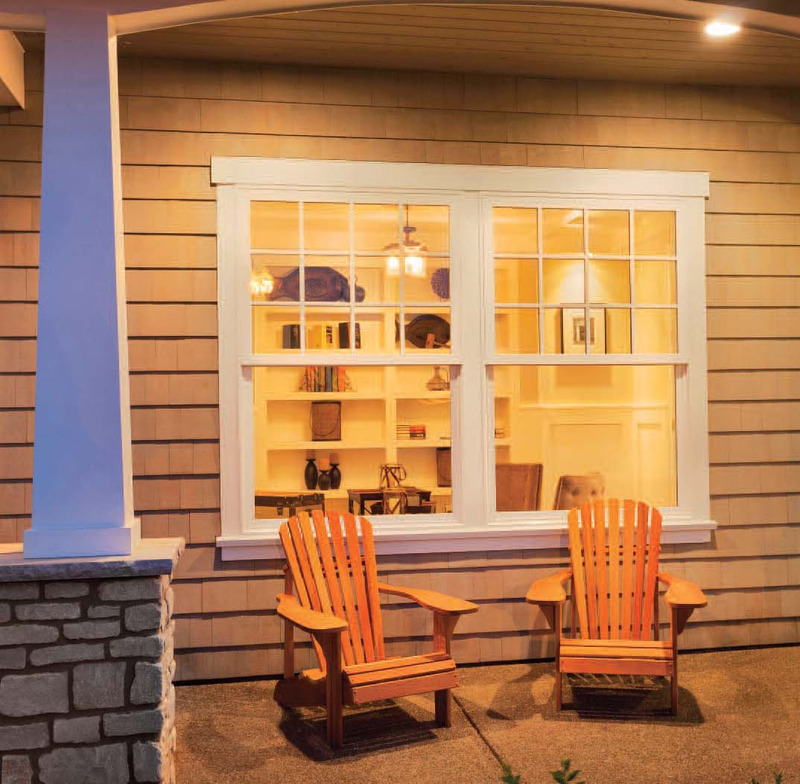 By installing replacement windows and new siding, Colorado homeowners can extend the lifetime of their home and enjoy many agreeable benefits like rot, fire, and fade resistance, energy efficiency, severe weather protection, and more. Our technicians are experts at selecting the right type of siding and windows and will work with you to find a solution that best fits the climate and environment of where you live. 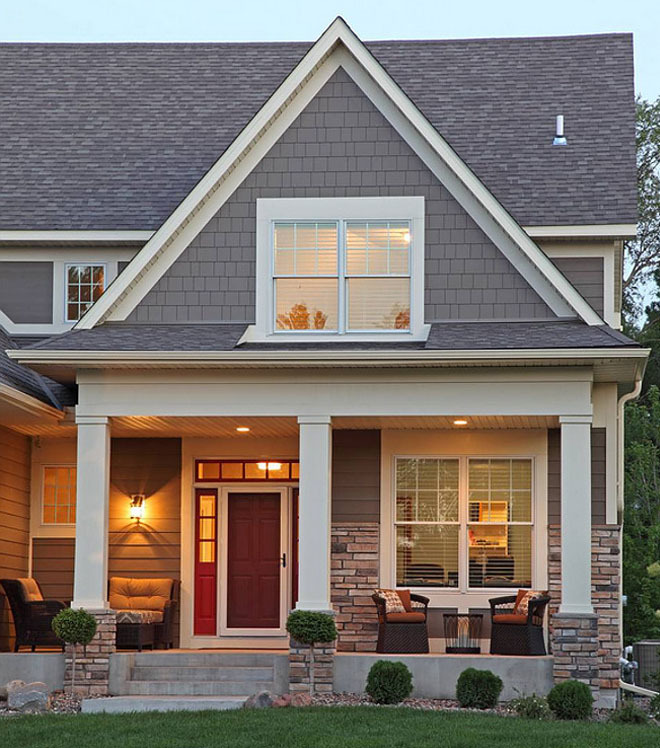 Scottish Home Improvements has been Denver‘s trusted siding and window contractor for almost 15 years. We understand the rapid weather changes and harsh environmental factors that dictate the requirements for your Denver home’s siding and window needs. With more than 15,000 satisfied customers in the Denver metro area, we welcome you to discover the Scottish difference. 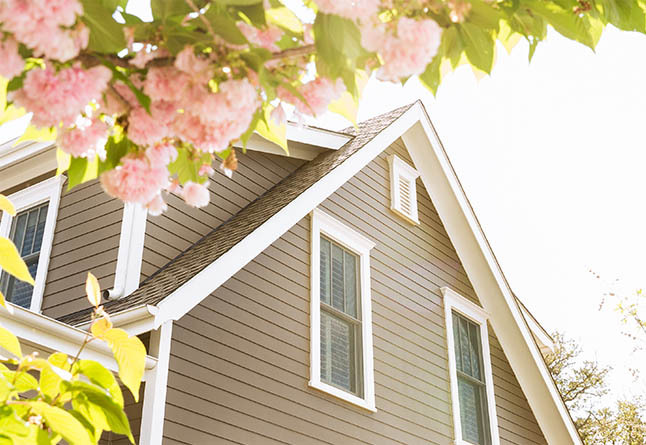 Whether you’re looking to upgrade the outdated wood siding on your ranch-style home in Hampden South to vinyl or enhance your Highlands new construction’s durability and energy efficiency with fiber cement siding, we can help you find the perfect siding option for you and your family. We’re proud to be the preferred siding and window contractor of Fort Collins, Loveland, and Greeley. 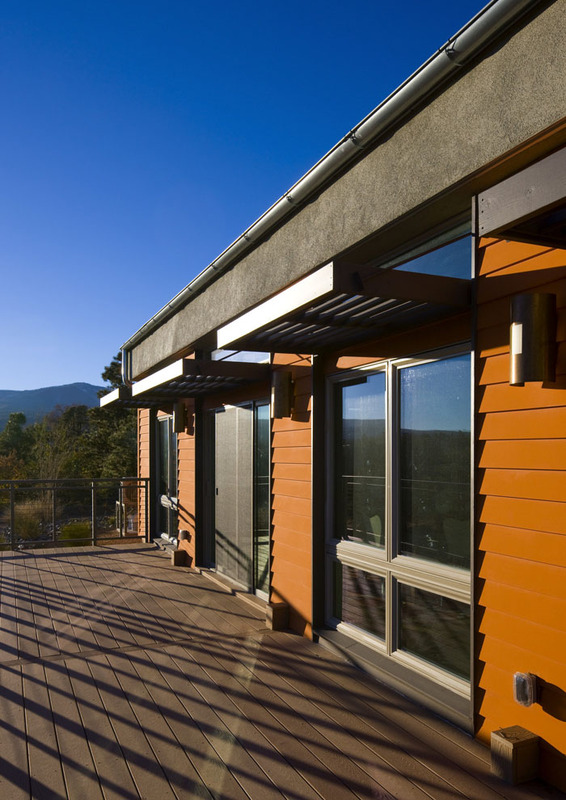 The harsh climate extremes of these mountain towns make choosing the right siding and window replacements even more pertinent to protecting your home and increasing equity. Our team of local experts have completed hundreds of siding and window replacement projects in these cities, and can help you every step of the way with one the largest, most expensive home renovation projects. Whether you’re looking to replace the outdated windows with self cleaning replacements in your two-story home in English Ranch, Fort Collins or upgrade your siding for additional energy efficiency in your bungalow in City Center, Loveland, Scottish Home Improvements can help your family choose the best options. 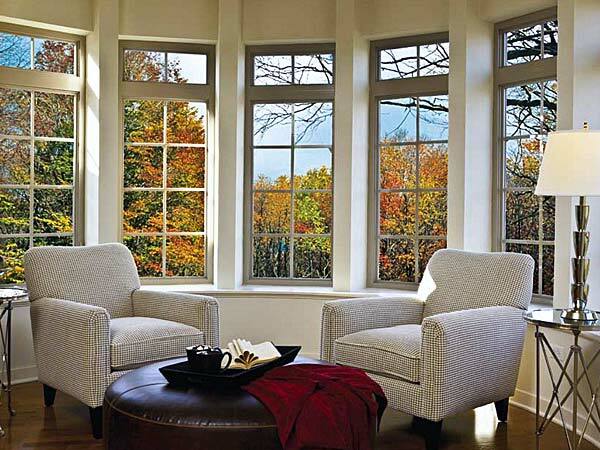 Scottish Home Improvements is proud to carry the largest selection of replacement windows in the Denver metro area. By partnering with Milgard, we are able to provide our clients with beautiful, energy efficient window replacements as well as a multitude of customization options. 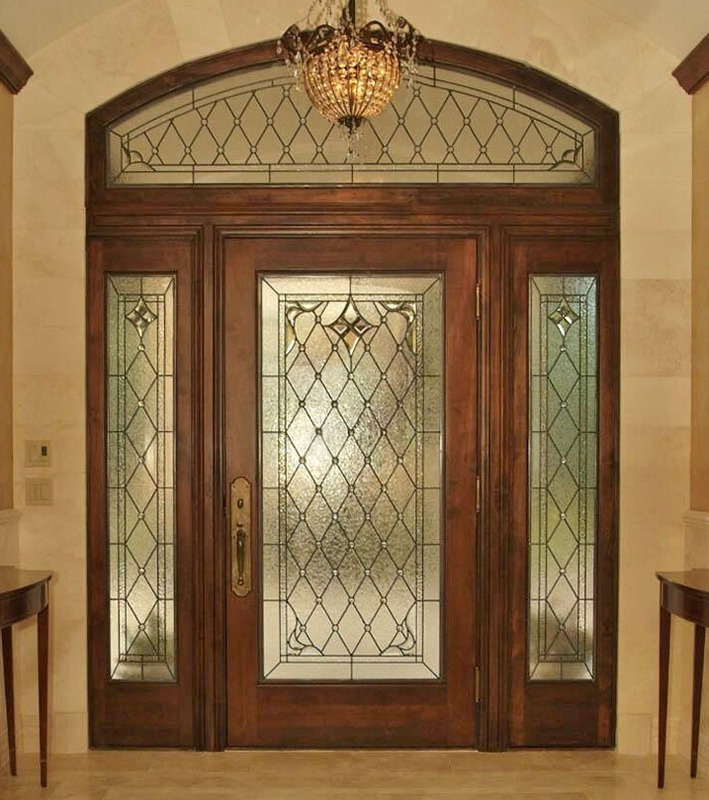 In addition to carrying Milgard’s entire product line of wood, vinyl, and fiberglass windows, we also carry many other highly sought after and nationally recognized window brands such as Alside, Pella, and Anderson. When you work with us, you’ll have access to dozens of window styles, frame materials, color choices, and more. Window replacement is always one of the first recommendations we make when a homeowner is seeking a way to lower their home’s energy costs. Having high quality windows is essential to ensuring your home’s comfort in both the winter and summer. Whether you are looking for top of the line Milgard wood windows, or you prefer the durability or a modern Alside vinyl window, we are the trusted contractor your home deserves. Whatever style of window you choose, we have a number of choices that can fit your home’s style. Adding new windows to your home can improve its comfort and increase your home’s energy efficiency. We can provide single, double, or even triple paned replacement windows. In many cases we work with our clients to order multiple paned window units filled with inert gas. This practice makes the windows even more energy efficient. There’s nothing we value more than our clients’ trust, which is why we work hard to make sure you get the most out of your investment. That’s why we partner with Milgard on all our window replacement projects. Milgard is a local window manufacturer based in the Denver area that produces premium vinyl, fiberglass, and wood replacement windows. Milgard has over 50 years of experience in manufacturing high quality windows and doors and is trusted by countless general contractors and homeowners all across Colorado, the Western United States, and Canada. 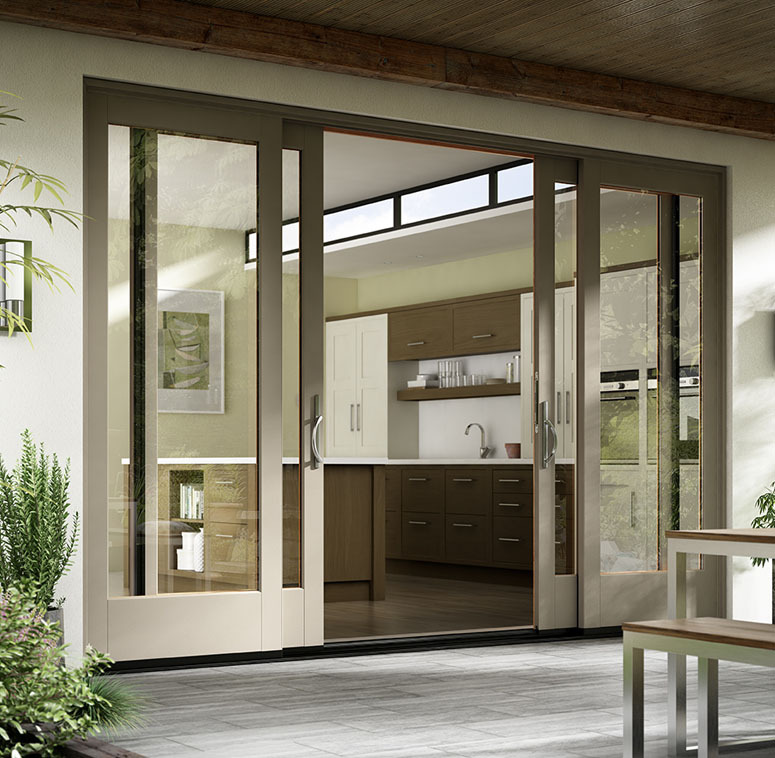 When it comes to aesthetics, durability, and energy efficiency, Milgard windows are unmatched by competitors. Milgard is known for both their commitment to quality and innovation, two ideals that translate through to the design and production of their windows. 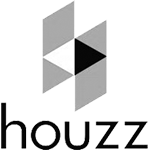 They’ve received several awards from BUILDER magazine and Houzz and are also a recipient of the 2016 Crystal Achievement Award. By partnering with Milgard, we are able to give our clients access to both a wide range of options and assurance in their investment. 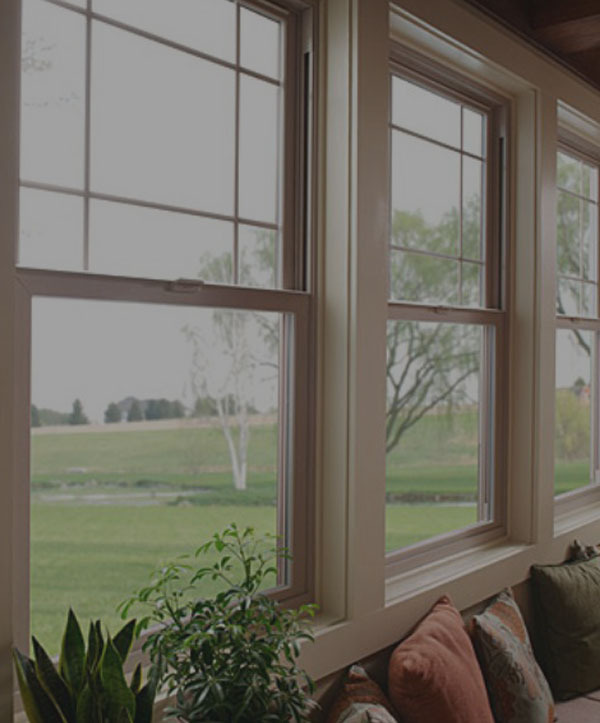 Most Milgard windows come with a full lifetime warranty that includes both parts and labor. Scottish Home Improvements is the premier home improvement contractor in the Denver region of Colorado. 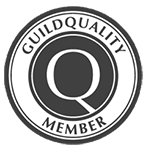 Our company was founded by Martin Faith, an experienced glassmaker from Glasgow, Scotland. Martin moved to Colorado in 1991 with his wife and after a few years of successfully owning and operating a business specializing in the manufacturing of stained glass windows, he decided to expand his company to include siding and window replacement services and Scottish Home Improvements was born. Now our company has been in business for over fifteen years and has successfully completed projects all across the state of Colorado. We work on both single family homes and multi dwelling units which includes apartment buildings, townhouses, and condos and are able to handle projects of any size, big or small. 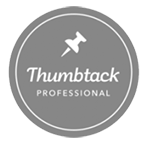 We are proud to have built an extensive network of returning clients who feel comfortable coming to us for all of their home improvement needs due to the excellent results and customer service we are able to provide. Homeowners in the Denver area know that when it comes to window and siding replacement, Scottish is the most trusted name in the business.